New smartphones BlackBerry Z10 just went on sale, and colleagues from the Internet resource Tech Insights have already disassembled one of the specimens. But before going to the direct "evisceration" of the device, I would like to note the general impression of the first happy owners of this smartphone. As the journalists note, BB Z10 has a very good on-screen keyboard. Predictive text input is implemented at an excellent level and a set of text messages was very convenient and fast. The screen is very bright and in general can compete with the Super AMOLED-display Samsung Galaxy S3 and the "retina" Apple iPhone 5. The operating system BB10 also failed. 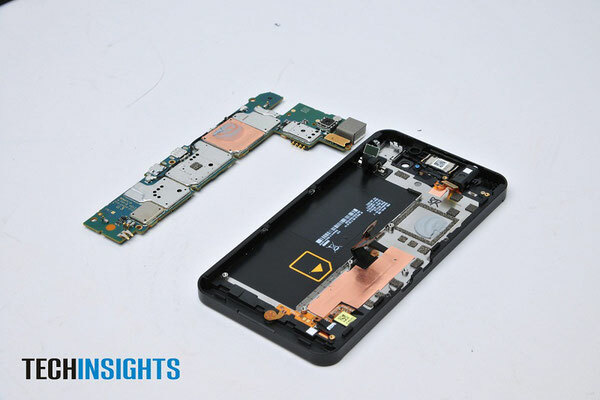 The smartphone worked steadily without failures, suspensions and errors. 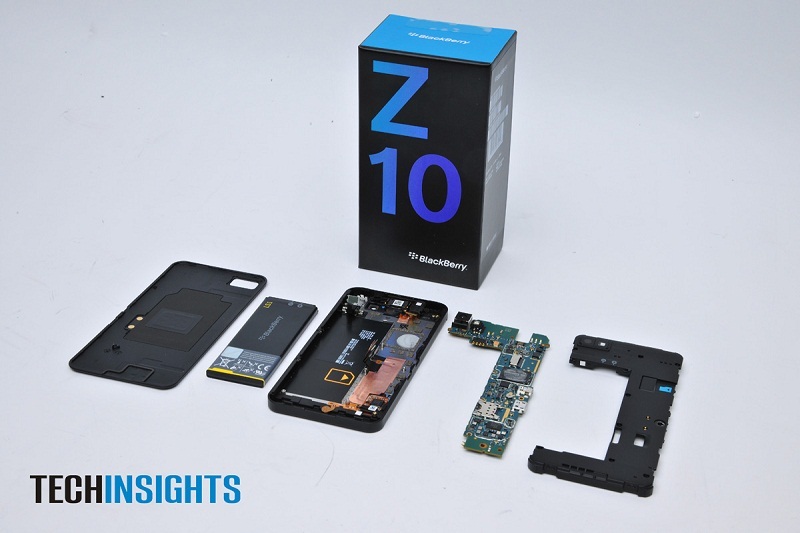 According to observers, Z10 could well compete with industry leaders, but there is one nuance. Their flagship devices Samsung and Apple released a long time ago and they have developed a large number of applications. And the Z10 still can not boast a developed ecosystem. In particular, US residents may not like the lack of such popular applications in the region, like Netflix and Instagram. Now directly to the hardware. The novelty uses the Qualcomm MSM8960 chip with two asynchronous CPU cores, operating at a clock speed of 1.5 GHz, Adreno 225 graphics and an integrated 3G / LTE modem. The power scheme of the Qualcomm PM8921 is the same as for the Galaxy S3 LTE and Galaxy Tab 2. The RTR8600 and the GPS module are the same as those of the Galaxy S3 LTE and iPhone 4. The audio codec is also from Qualcomm - WCD9310. Several components BlackBerry borrowed from its competitor - Samsung Electronics. In particular, the South Korean giant supplies it with 2 GB of LPDDR2 memory and a 16 GB MLC NAND drive, as well as the corresponding controllers. From Texas Instruments, the new smartphone has a single-chip solution that integrates Wi-Fi, 802.11 / a / b / g / n, Bluetooth, FM radio. The controller for the capacitive touchscreen display was offered by Synaptics company - Clearpad 3203. 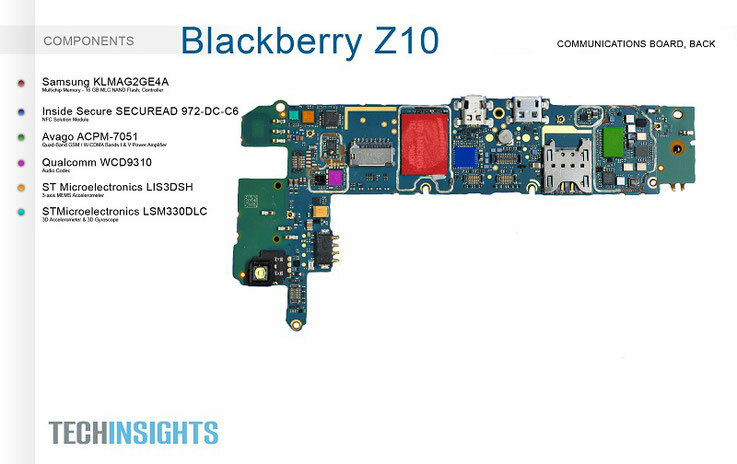 Also, the Z10 is supported by NFC thanks to the Secure SecuRead IC5C633I4 chip. 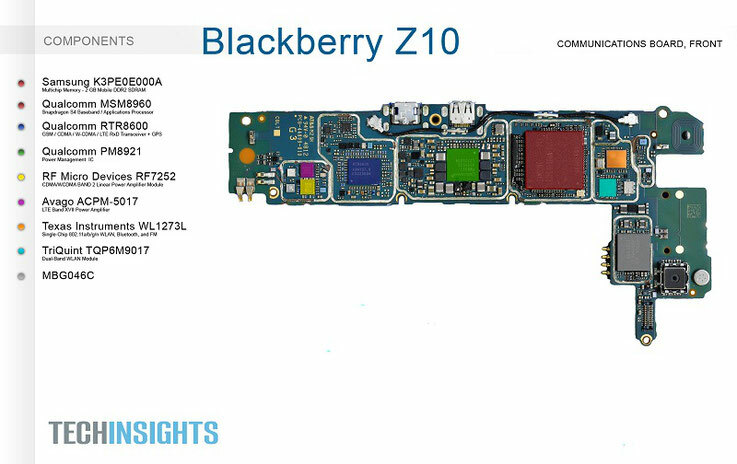 In general, for many components Z10 is similar to the LTE-version of Samsung Galaxy S3.